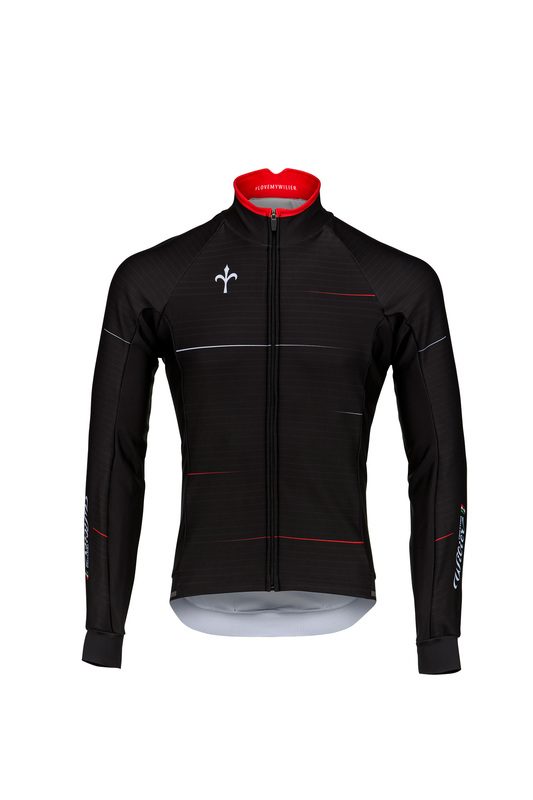 Winter jacket windproof and waterproof breathable material Event with a full front zipper. 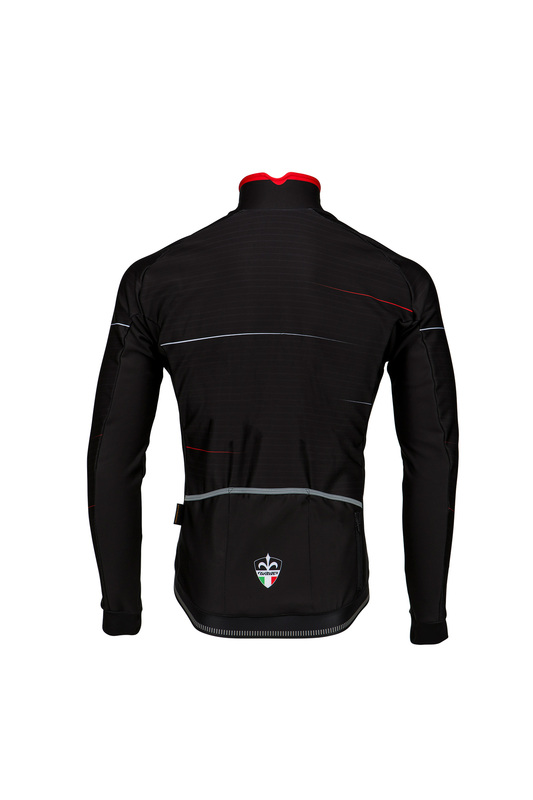 The jacket has an anatomic shape; on the back there are 3 open pockets and one additional side pocket has a zipper. Around the waist there is a reflective silicon gripper.